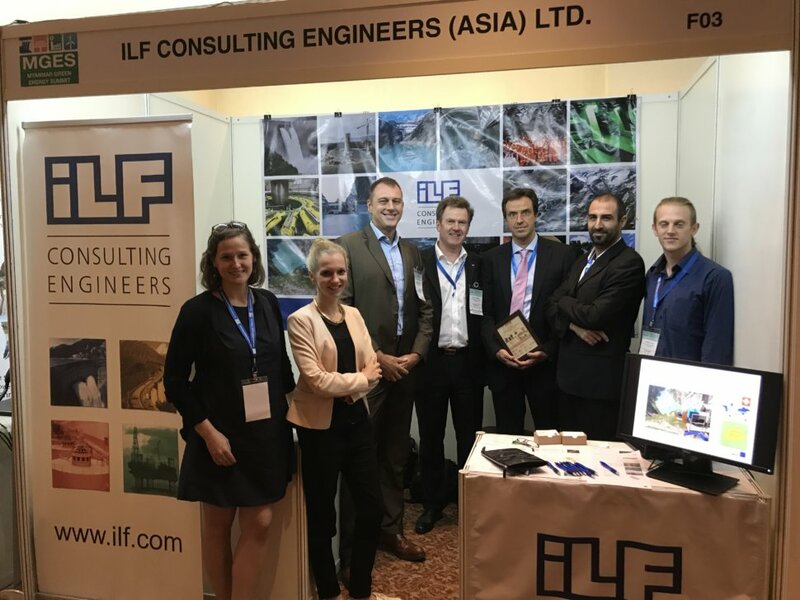 ILF Consulting Engineers is pleased to announce its participation, as an official sponsor, in the “9th Arab-German Energy Forum”, taking place in Cairo from October 24 to October 25, 2018. 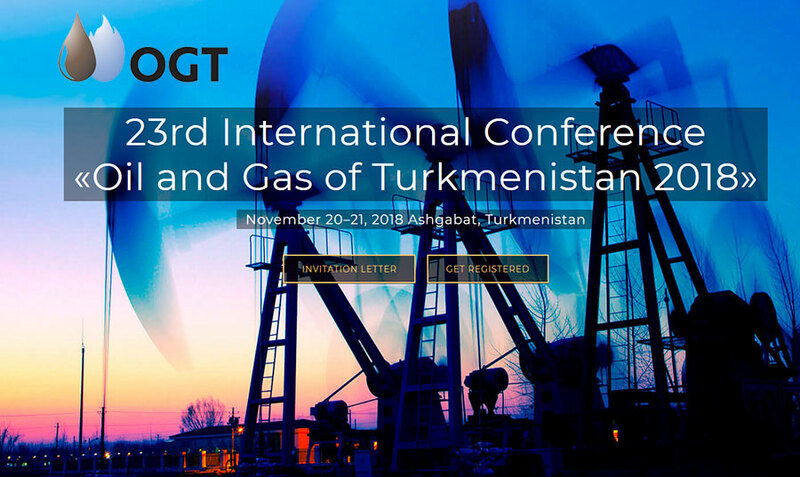 As part of the Oil & Gas Panel 4 at this year’s congress, our experts will present their technical expertise in project organization, during the presentation “Oil & Gas – Cooperation Perspectives and Egypt’s Transformation into a Regional Hub for Trading” (Joel Toé). Feel free to visit us or to schedule a meeting to learn about our competencies and experience with oil and gas projects. Let us know how we can help you tackle your challenges (info.muc@ilf.com)! For further information, please visit the website at https://energy.ghorfa.de. On September 21, 2018 the Transalpine Oil Pipeline (TAL) officially put the world’s first recovery station that uses a Francis turbine into operation. The Taimeralm energy recovery station is located in the municipality of Mittersill (Salzburg) at an altitude of around 1,335 m above the sea. The Transalpine Pipeline carries crude oil from Trieste to Ingolstadt via the Alps. This innovative and worldwide unique station allows the potential energy in the gradient north of the Felbertauern tunnel to be used for the first time to recover energy in an environmentally friendly manner. The energy is recovered by means of a Francis turbine with a directly coupled synchronous generator. The electricity produced is fed into the grid. The bottleneck capacity of the Taimeralm energy recovery station amounts to 2,500 kW. An annual power generation of approx. 11.5 GWh is achieved. This corresponds to around 12 % of the annual energy demand of TAL Austria or the average annual energy demand of 3,000 households. The difference in altitude between the high point at Felbertauern and the station is 237 metres. ILF Consulting Engineers has been a partner of TAL in this project since 2006 and was responsible for the following services: feasibility studies (2006 and 2009), conceptual design and site definition, permit application design, tender design incl. award of contract, site supervision, support during commissioning and management of authority notifications. ILF Consulting Engineers is pleased to announce its participation in the “International Pipeline Conference (IPC)”, taking place in Calgary from September 24 to September 28, 2018. We look forward to many inspiring conversations with visitors at booth 726, where we will be exhibiting our competences and experience in the field of Midstream, or as part of scheduled meetings (Hyatt Regency, TELUS Conference Center, Calgary, AB, Canada). Let us know how we can help you tackle your challenges (info.muc@ilf.com; info.canda@ilf.com)! 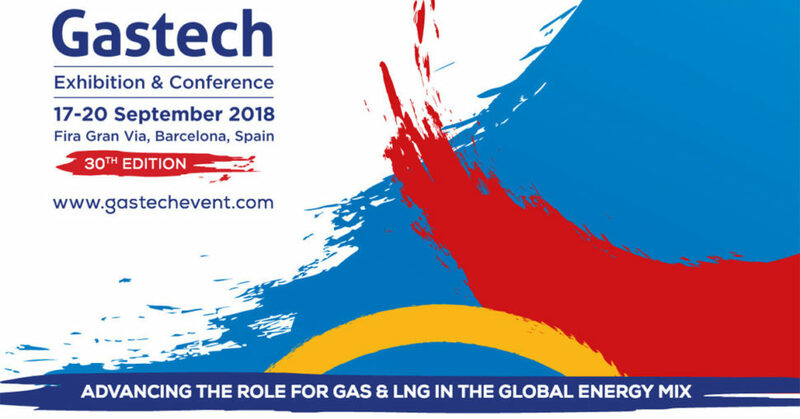 ILF Consulting Engineers announces its participation in the Gastech 2018 Conference held in Barcelona from September 17 to September 20 as a Session Sponsor. Dr. Stefan Buerkle and Mr. Bernhard Puerzer will represent ILF and host the session ‘Small Scale LNG / LNG Powered Vehicles’. We will be most happy to meet you at Gastech to receive your questions and help you tackle your challenges. To arrange a meeting upfront, contact us at info.muc@ilf.com. 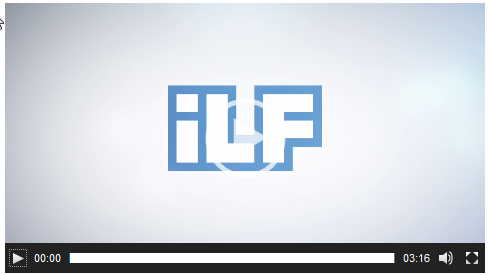 As of now, ILF Switzerland is presenting itself on its own website. The new page is integrated into the main page, but differs in local contacts, job offers and references and links to an adapted company and service description. ILF Switzerland is looking forward to your visit to “switzerland.ilf.com“. Alternatively, you can also open the page by clicking on Country Sites at www.ilf.com. 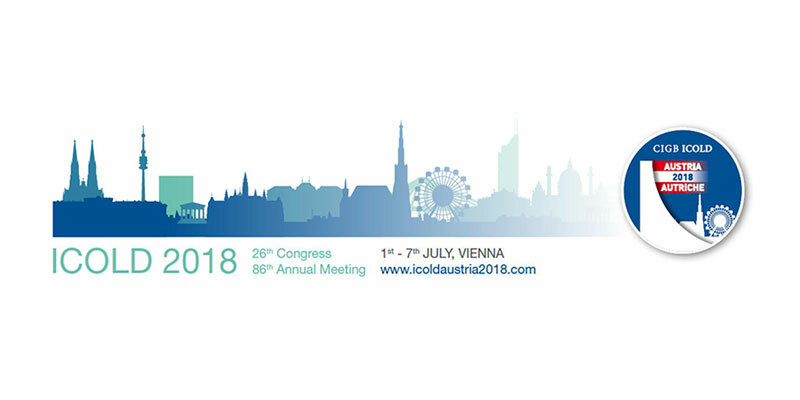 ILF Consulting Engineers will be represented at the 26th ICOLD World Congress, organized by the Austrian National Committee on Large Dams (ATCOLD), in the Austria Center Vienna from July 2 to July 5, 2018. ICOLD is the world-wide dam commission, comprising more than ninety national committees across the globe, including ATCOLD. ILF supports the ICOLD World Congress as a Bronze Sponsor. On July 4, 2018 at 17:50, Dr. Christian Auel will be presenting on the “Rehabilitation of the Mud Mountain Bypass Tunnel Invert” during the session “Q100 – Reservoir Sedimentation and Sustainable Development”. The main purpose of the project is to establish replacement and repair frequencies of principal equipment and components in pumped storage power plants in the Republic of Korea. Among other things, the research project considers the differences between the European and the Korean approach to operate and maintain pumped storage power plants. ILF will analyze data, documents and operational management strategies in Europe related to the life cycle of pumped storage power plants. 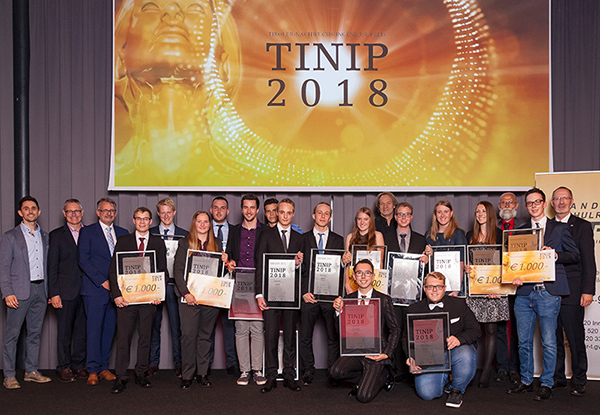 TINIP – the Tyrolean prize for young engineers has become a fixture in the annual program of the expert group “Engineering offices” of the Tyrolean Chamber of Commerce. In this event, outstanding final year projects and diploma projects of the graduates of the technical and vocational school were presented to the public and the winners were chosen by an expert panel. It was already the eight time that the ILF office building in Rum near Innsbruck (Austria) served as the official venue for the presentations and the meeting of the expert panel of judges. 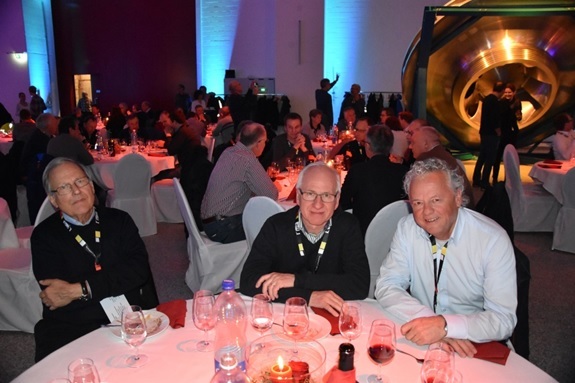 Being the sponsor, ILF was also present at the subsequent prize-giving ceremony at congresspark igls and had the opportunity to give the prize in the category 5 “Civil and underground engineering” to the winning team. We would like to congratulate the TINIP winners in the individual categories and all participants on their extraordinary accomplishments! Two years ago, the Austrian Federal Railways (ÖBB) launched the Green Points initiative to make the public more aware of the contribution traveling by rail makes to protecting our environment and to reducing our carbon footprint. This initiative allows people, who use ÖBB trains for their business trips to collect green points, which are dedicated to specific environmental projects. By advocating rail travel, ILF has managed to cut down CO2 emissions by 53.7 tonnes in the past year and to join the ranks of Austria’s most frequent train travellers. This marks a 30 % improvement in comparison to last year’s figures. ILF highly appreciates the ÖBB initiative, as the sustainable protection of the environment is of utmost importance to our company both when designing structures and facilities and when performing day-to-day project works. We are delighted that by continuing to use ÖBB trains for business trips, we can make a valuable contribution to ensuring sustainability in Austria in years to come. 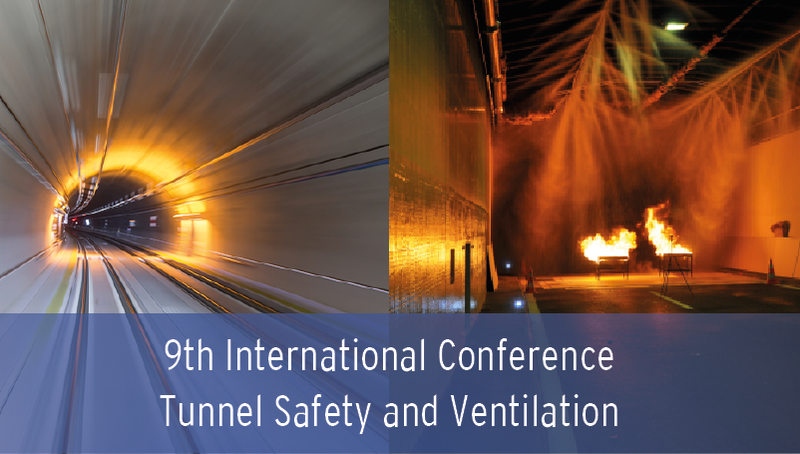 ILF Consulting Engineers will be represented at the 9th International Conference “Tunnel Safety and Ventilation” in Graz, Austria from 12 to 14 June 2018. Bernhard Kohl will give a presentation titled “Discussing the influence of congestion on tunnel safety – using the example of the Waterview Tunnel in Auckland“ on 13 June 2018 at 10:15 am in the “Graz” hall. Furthermore, Oliver Senekowitsch will talk about the “Reproduction of human behaviour in risk models – validation of the relevant risk parameters based on proband tests“ also on 13 June 2018 at 09:25 am in the “Graz” hall. In the afternoon (02:35 pm, “Graz” hall”) Reinhard Gertl will share his practical experience on the “Installation of the escape way ventilation system of the Dalaaser tunnel“ with you. The speakers will be happy to receive questions or feedback. Let us know how we can help you tackle your challenges (bernhard.kohl@ilf.com or oliver.senekowitsch@ilf.com or reinhard.gertl@ilf.com)! The MEED Awards celebrate excellence across the GCC – one of the world’s fastest moving, most disparate and vibrant markets – and recognize each winning company for the success of its business achievements. 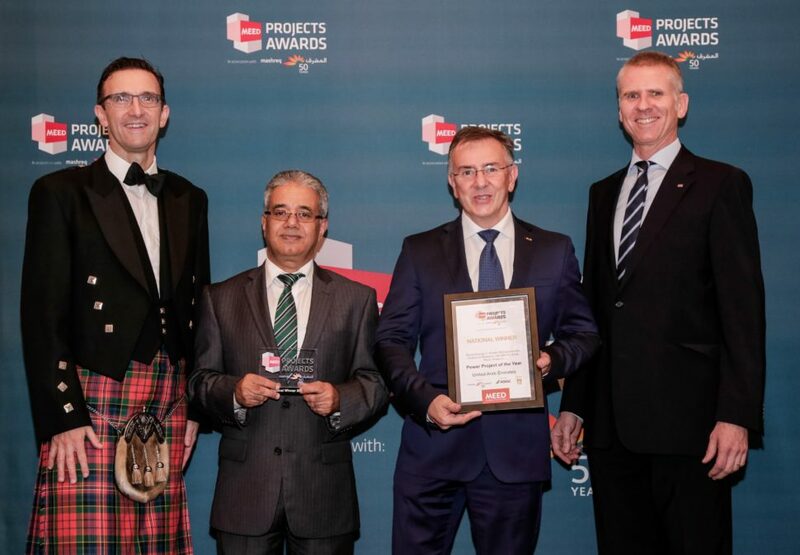 At this year’s ceremony, which took place on 2 May 2018 in Dubai, ACWA POWER and ILF received the esteemed awards of National Winner and GCC Winner for the category “Power Project of the Year” by virtue of the value, the quality, and the success of the SHUAA Energy 1 – Sheikh Mohammed Bin Rashid Al Maktoum 200 MW PV Solar Plant project. 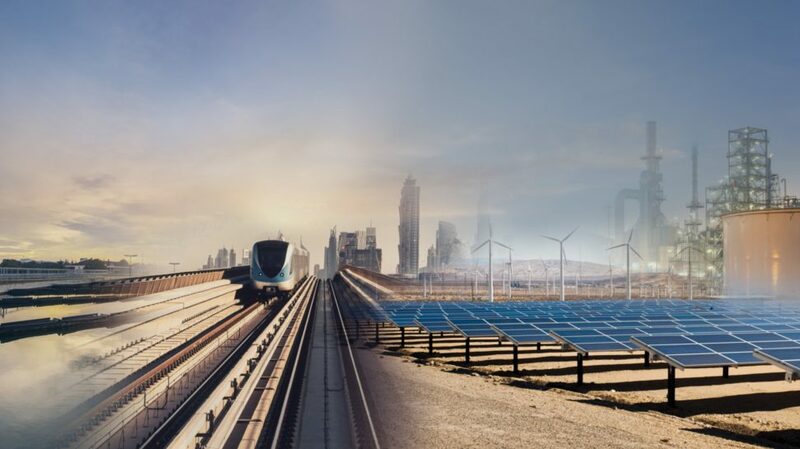 The project is a part of the “Dubai Integrated Energy Strategy 2030” initiative and the plant is the second phase of the 1 GW Mohammed Bin Rashid Al Maktoum Solar Park which will be the world’s largest single-site solar park based on the Independent Power Producer model (IPP). 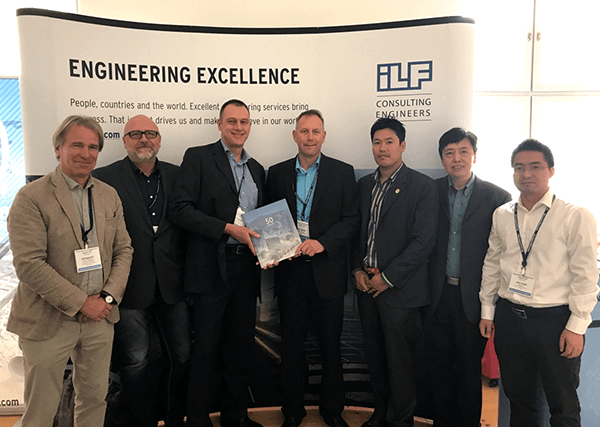 ILF Consulting Engineers pronounces its participation in the “4th International LNG Congress” held in Berlin from June 4 to June 5, 2018 as a Session Sponsor. During this year’s congress, our experts will present our technical expertise in Small-Scale LNG Technologies and host the corresponding session (Mr. Bernhard Pürzer). 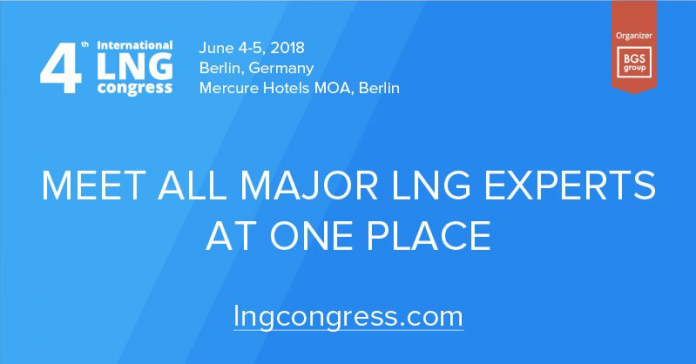 You are most welcome to visit us or schedule a meeting (Mercure Hotels MOA, Berlin, Germany) to learn about our competences and experience in the field of LNG. Let us know how we can help you tackle your challenges (info.muc@ilf.com)! We are looking forward to your visit. For further information, please visit the website at http://lngcongress.com/ or read the interview with Mr. Pürzer using this link. 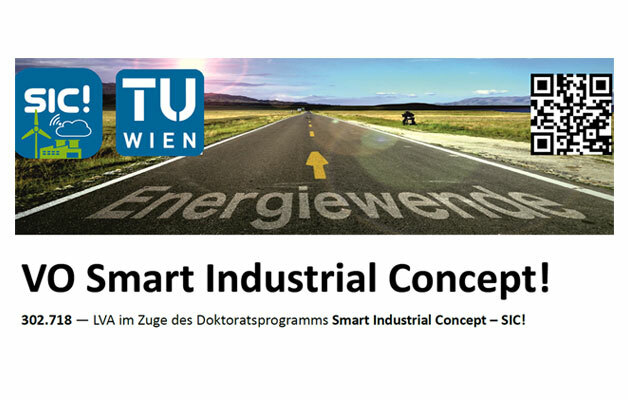 The overall goal of “SIC!” is to develop methods for an energy-optimized operation of industrial facilities, for their energy conversion, distribution and storage, and the investigation of their interaction with the framework conditions of the energy industry. 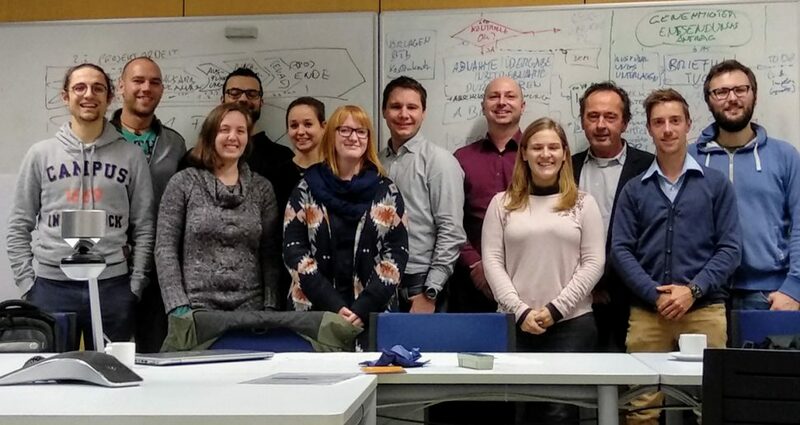 To this end, the University of Technology in Vienna, the Montanuniversität Leoben and AIT have jointly launched an initiative for a cooperative PhD program. ILF Consulting Engineers makes a significant contribution to the PhD topic “design optimization and dynamic component modeling for load flexible industrial energy supply facilities”. On the one hand the PhD position of the successful applicant will be sponsored by ILF and on the other hand an intense transfer of know-how is planned, which shall also include a market-oriented product innovation. After the application procedure, the employment of the PhD candidate could start in June 2018. For details regarding the PhD position, click here. 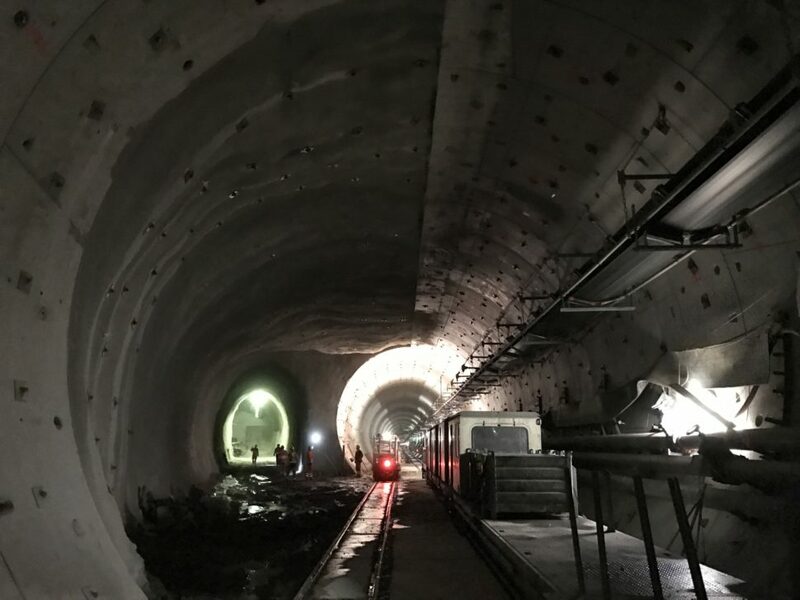 One of the most challenging structures of the Koralm Railway Line, the Untersammelsdorf Tunnel near St. Kanzian (Austria), was officially completed with the breakthrough of the top heading in late April. 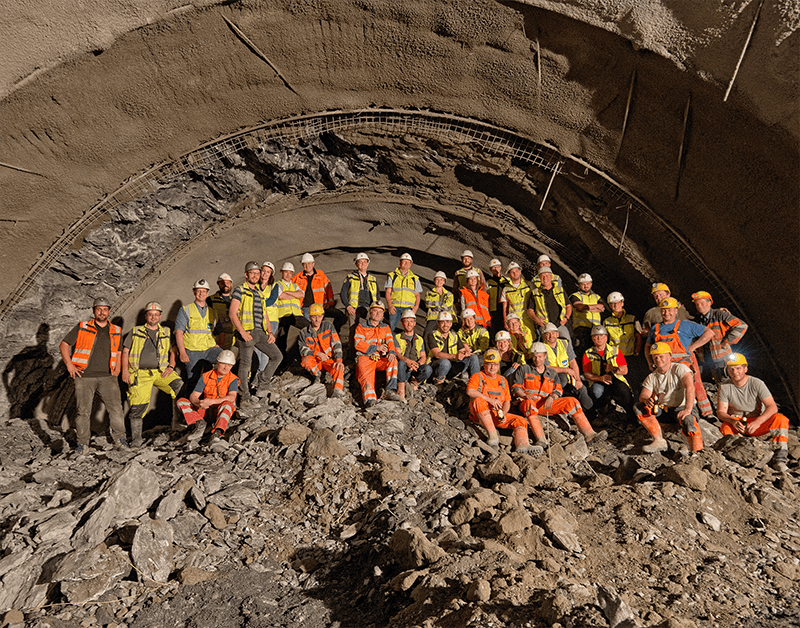 The Untersammelsdorf Tunnel is the most complex of six tunnel structures and has a total length of 665 m and a maximum overburden of 30 m. Large parts of the tunnel were excavated adopting the cut-and-cover method, while in the portal areas the top-down construction method was used. A tunnel rescue site for emergency services is being built at the tunnel’s western portal. Together with partners of ÖBB Infrastruktur AG, ILF Consulting Engineers has been working on the design of the tunnel structures in the “Mittlern–Althofen” section since 2006. On May 4, 2018, COWI North America took over part of ILF-USA’s projects and workforce. ILF is restructuring its business in North America and will continue to serve clients in the USA in the sectors oil & gas, transportation, tunneling, energy and water. Whilst partly cooperating with COWI on a case-by-case basis, ILF has plans to expand its US presence from the ILF Denver office. Chaleun Sekong Energy Co. Ltd. has recently awarded ILF Consulting Engineers and partners with the site supervision services for the Nam E-Moun hydropower project. This important plant has an installed capacity of 129 MW and is located in Southern Lao PDR. The project consists of a gated concrete gravity dam with a maximum height of 25.6 m and more than 15 km of tunnel structures. The construction works are expected to take 42 months. 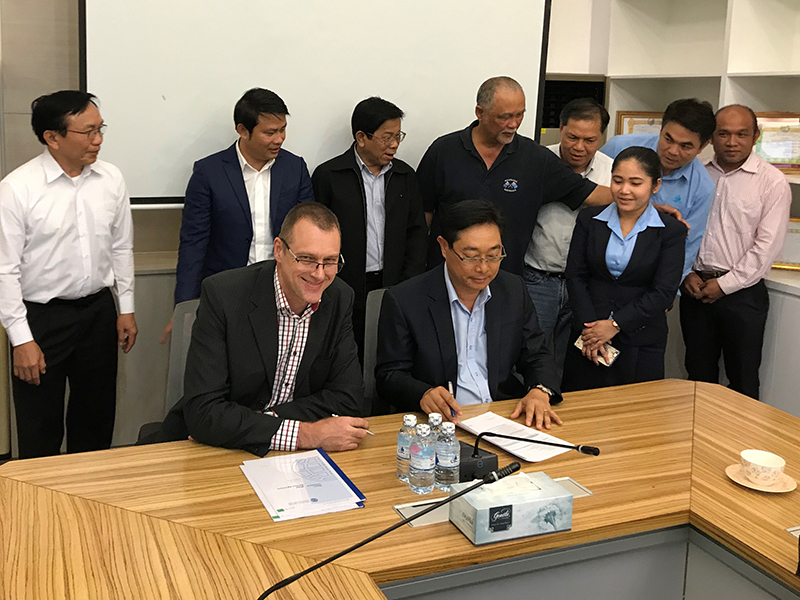 In addition to the site supervision and commissioning services, ILF Consulting Engineers, together with partners, has also been requested by Chaleun Sekong Energy Co. Ltd. to assist with the selection of the electro-mechanical equipment. In early April 2018 the EPC contractor Mapa Construction and Trade Co. Inc. commissioned ILF Consulting Engineers to carry out the detailed design for the Rabigh-Jeddah/Makkah Water Transmission System in Saudi Arabia. It is one of the largest drinking water transmission systems ever tendered by the client and owner SWCC. 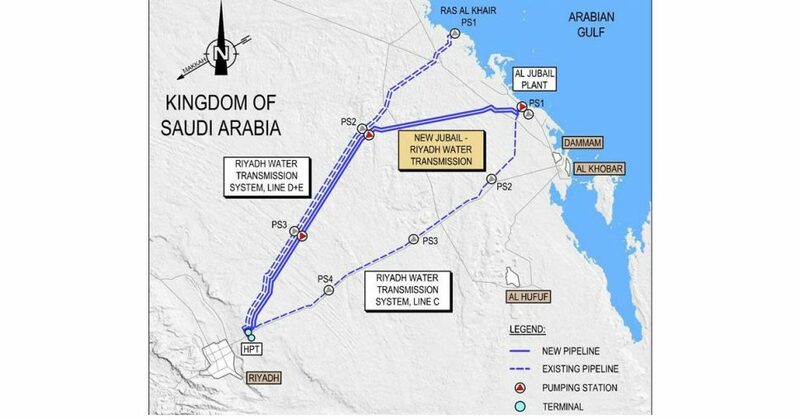 The overall system comprises two independent pipeline systems (Rabigh-Jeddah/Makkah and Rabigh-Mastorah) which are both supplied by the new Rabigh desalination plant. The total throughput amounts to 1.3 million m³/d and is transported from Rabigh to Makkah and Briman respectively via a 200 km long 80” twin line. 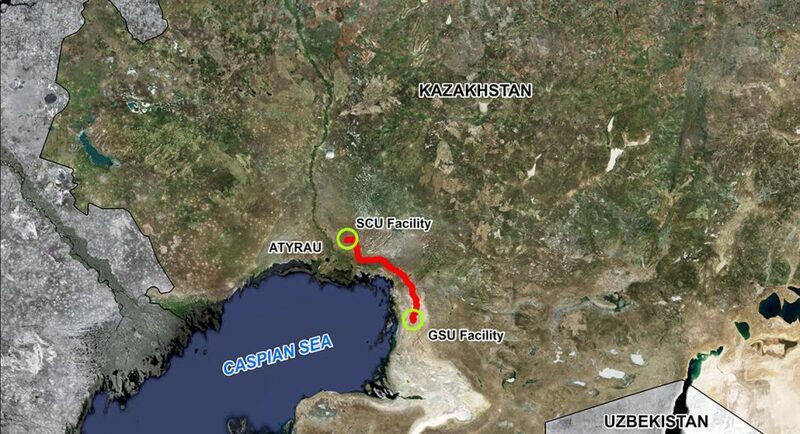 In total 684 km of pipeline will be laid and 8 pump groups will be installed. 12 reservoir stations will be erected along the pipeline. The total storage capacity of the steel tanks in the different stations is 3177 m³. ILF’s scope of work includes hydraulics and process, all stations and buildings including housing compounds for the future operating personnel, and the entire pipeline system. Furthermore ILF supports the EPC contractor in the design of the mechanical equipment, the commissioning of the transport system on site and prepares the operating manual for the overall system. Earlier this year, the Ministry of Railway Development commissioned ILF Consulting Engineers, together with partners, to provide design services for a railway line from Kumasi to Paga. The 595 km long greenfield railway line shall link up Ghana with neighboring Burkina Faso with a design speed of up to 160 km/h. The project will improve railway and logistics infrastructure as part of an integrated transport network in Ghana and help to improve services to customers and reduce the cost of transportation. ILF and its partners are in charge of the feasibility study to determine the economic, financial, social and environmental viability of the proposed railway corridor. clomid online, acquire clomid. 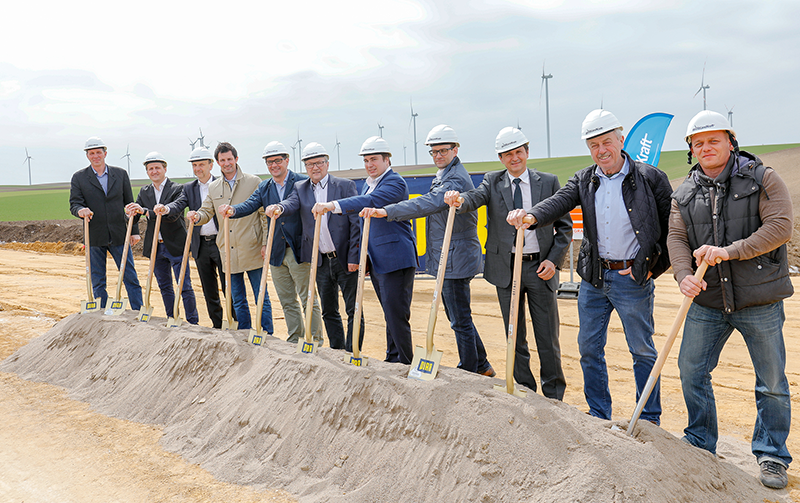 After an intensive design and approval phase the groundbreaking ceremony for the GroAYinzersdorf Wind Farm (Lower Austria) took place in early April this year. The EUR 17 million project is meant to supply 7,500 households with clean electricity as early as this year. The wind farm consists of three wind turbine facilities with a total of 9.9 MW and is an important step towards renewable energy and climate protection in Austria. 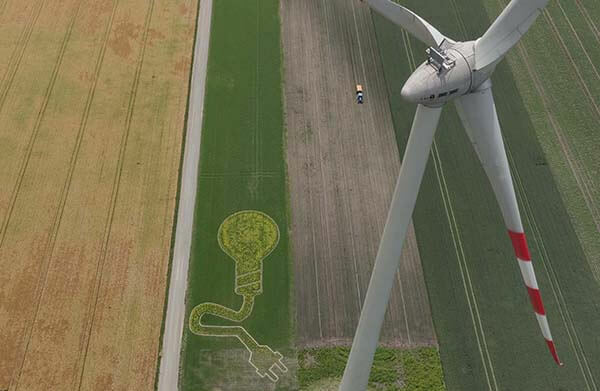 ILF Consulting Engineers was commissioned by WindLandKraft GmbH to carry out the design and project management services for the wind farm including roads and crane hardstand areas as well as cabling to the substation. After a construction period of approx. 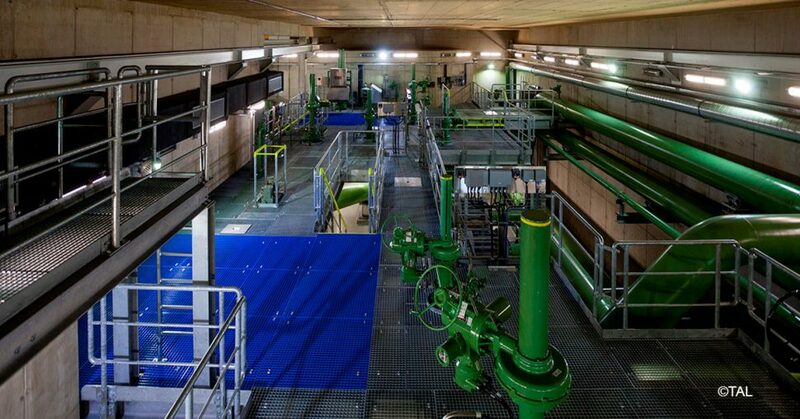 10 years, the new Limmern pumped storage power plant (Switzerland) of “Kraftwerke Linth-Limmern AG” was commissioned with a ceremony at the end of March 2018. With an output of 1,000 MW, the new power plant is the largest pumped storage power plant in Switzerland and has a height difference of 620 m. The dam, located at 2,470 m above sea level, is the highest dam in Europe. For Switzerland and the international electricity industry, the power plant is a huge battery that can be used in an environmentally friendly way to stabilize the grid and to ensure peak coverage. Together with partners, ILF Consulting Engineers had already been entrusted with the design of the underground facilities (powerhouse, transformer cavern, pressure tunnel, surge tank, access tunnel, energy discharge tunnel) in 2009. ILF is excited to announce the brand new book “SUSTAINABILITY – A Way to Abundance” by Dr. Corrado Sommariva. The book covers sustainability from various perspectives and presents a very promising vision of abundance based on the conclusion that profit can also be associated with sustainability and environmental protection. 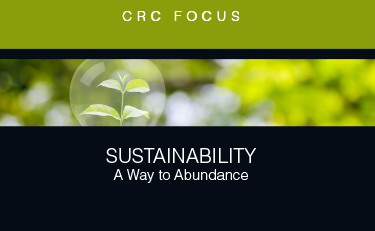 The book is a “must-read” for all who are interested in the super important topic of sustainability and is available at CRC Press as hardback or eBook. Dr. Sommariva is a world-class expert for desalination and as Managing Director of ILF in the UAE in charge for the energy and water business. Moreover, in his function as Group Director Sustainability, he promotes sustainability advisory across the globe. Engineers Without Borders Austria is a non-profit association which has set itself the task of implementing projects in the field of technical development cooperation. The members and contributors are of different age groups and fields of study/professions. Everyone works on a voluntary basis. Since 2015 there is a regional group in the Tyrol with currently about 40 members, among them architects, civil engineers, physicists, psychologists, linguists and many more. 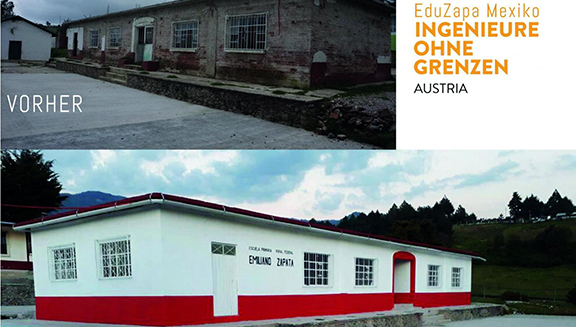 The regional group is currently working on the “EduZapa” project, which aims to rehabilitate a school in rural, poverty-stricken Mexico. The first implementation phase took place in the summer of 2017, with a further phase being planned for 2018. This project is financed exclusively by donations. ILF supported the association with a donation at the end of 2017 and now intends to work more closely together. In particular, ILF plans to contribute to the technical project and design by making in-house expertise available to the project team. If you would like to learn more about the project, please follow this link: http://www.iog-austria.at/iog_project/eduzapa-mexico/. Already in 2014 the National Water Company (NWC) commissioned ILF Consulting Engineers to provide design services for the “South Dhahran Residential Project” of the Saudi Aramco national oil company. Scope of services for this new “Residential Housing Complex” is to ensure the necessary water supply as well as wastewater treatment and disposal for the future 70,000 residents. 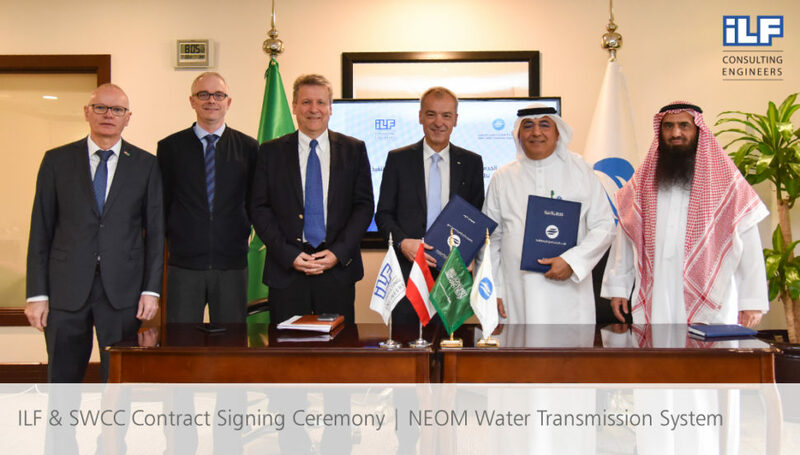 The project encompasses a seawater desalination plant (100,000 m³/day), a 20 km long drinking water supply pipeline and a 17 km long wastewater collector pipeline to the new wastewater treatment plant (70,000 m3/day). The project furthermore envisages reusing the treated sewage effluent (TSE) for irrigation purposes via a 17 km long pumping main. 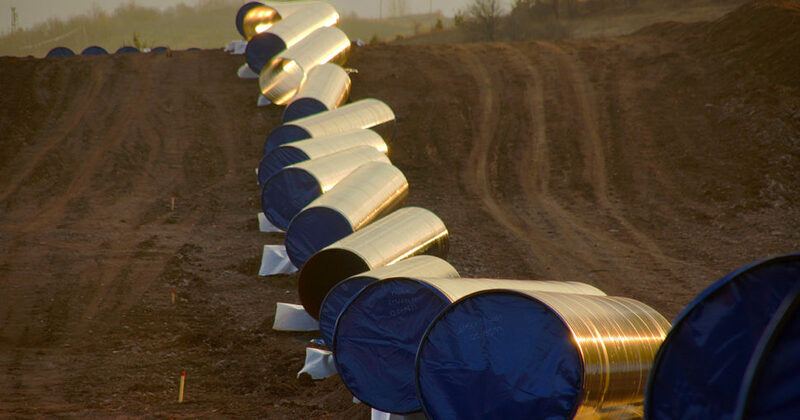 A new 10 km long transmission pipeline DN 1,200 for wastewater between an existing and the new wastewater treatment plant is included in the project. After the feasibility study ILF also carried out the EPC tender of the mentioned system components, provided support during contract negotiations and compiled contract documents. Currently the project is in the implementation stage where ILF carries out design review and site supervision. All over the world changes in the climate are observed resulting in conditions that are too hot, too wet, causing a rise in sea levels, and an increase in the number of extreme events, such as storms, floods, droughts or landslides. Given the ever increasing importance of the topic, ILF has now published a White Paper titled “Climate Change challenges and solutions in infrastructure planning and adaptation”, which gives an overview of the topic and outlines solutions to cope with the challenges involved. You are highly welcome to read the document that can be downloaded here. ILF Consulting Engineers will be represented at the “Seventh International Conference and Exhibition on Water Resources and Renewable Energy Development in Asia” in Danang, Vietnam from 13 to 15 March 2018. Florian Nagel will give a presentation as part of the “Finance and risk” session: “Development of Bankable Hydropower Projects in South-East Asia using Monte Carlo Simulation” on 13 March 2018. Furthermore, Lochan Devkota will present on “Sedimentation management: Impact of the Koshi Barrage & Embankments on River Morphology and Dynamics” on 15 March 2018. The speakers will be happy to receive questions or get feedback. Let us know how we can help you tackle your challenges (florian.nagel@ilf.com or lochan.devkota@ilf.com)! Here you can find further information on our presentation at HYDRO Asia 2018. ILF Consulting Engineers announces its participation in the annualA�Pipeline Technology Conference (PTC) held in Berlin from March 12 to March 14, 2018 as a Gold Sponsor. During this years PTC, our experts will present our technical expertise in emergency response concepts (Dr. Michael Kasch). You are most welcome to visit us at stand 42 in exhibition hall 1 (Estrel Convention Center, Berlin, Germany) to learn about our competences and experience in the field of pipeline engineering. Let us know how we can help you tackle your challenges (info.muc@ilf.com)! We are looking forward to your visit. 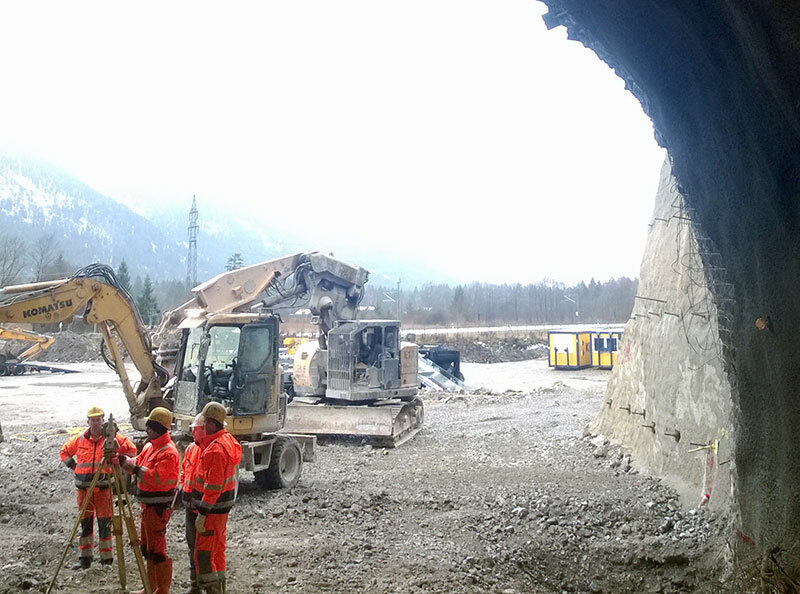 Together with partners, ILF Consulting Engineers has been involved in the site supervision of the Koralm tunnel KAT2 contract section on behalf of the Austrian Federal Railways (ÖBB) since 2010. After the start of the construction works in 2011 and the start of the TBM drive in 2013 the completion of the excavation works was celebrated on 18 Feb 2018. This means that over a period of 59 months of tunnelling some 17,145 m of tunnel were excavated for this contract section. Forming part of the Baltic-Adriatic Axis, the Koralm tunnel shall, after its completion, contribute to significantly reducing travel times in passenger traffic and to improving the conditions for environmentally friendly railway freight traffic. The 32.9 km long single track railway tunnel was divided into three contract sections, with the 19 km KAT2 section being the longest one. ILF is both in charge of the site supervision and of the technical management of the joint venture for the site supervision. 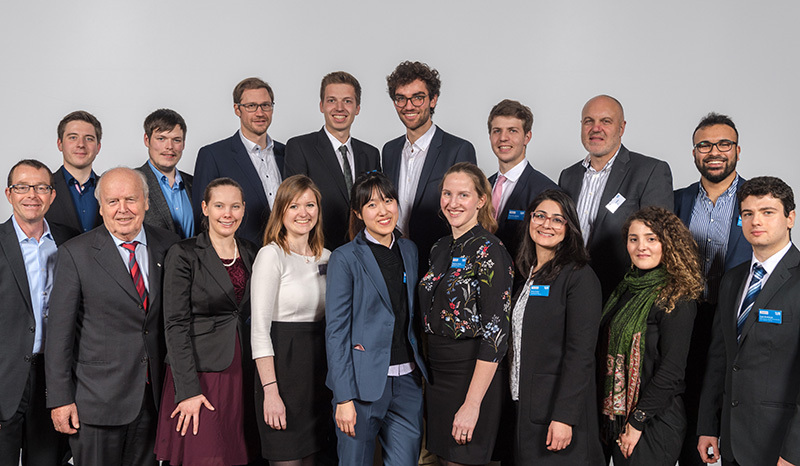 In January this year the official ceremony for the Deutschlandstipendium 2018 was hosted by the Technical University of Munich. More than 150 donors and 650 scholarship holders of the Deutschlandstipendium took part in the festive event. The scholarship program launched by the Federal Government in 2011 promotes students who are expected to achieve high both at University and in their professional lives. Together with the Adolf Feizlmayr Foundation ILF participates in the program by funding a total of twelve scholarships that cover a broad spectrum of different engineering disciplines. These range from electrical and information technology engineering to mechanical, civil and environmental engineering. Besides Germany and Austria, the scholarship holders come from Canada, Venezuela, Iraq, Syria, Hungary and Italy. Through the ILF-internal ai?? ?Club of Young Engineersai??? the scholarship holders get in direct contact with ILF employees and are given the chance to participate in various ILF events. Individual assignments as working students, interns or prospective graduates are meant to provide the scholarship holders an opportunity to get to know each other in a direct working environment at ILF. 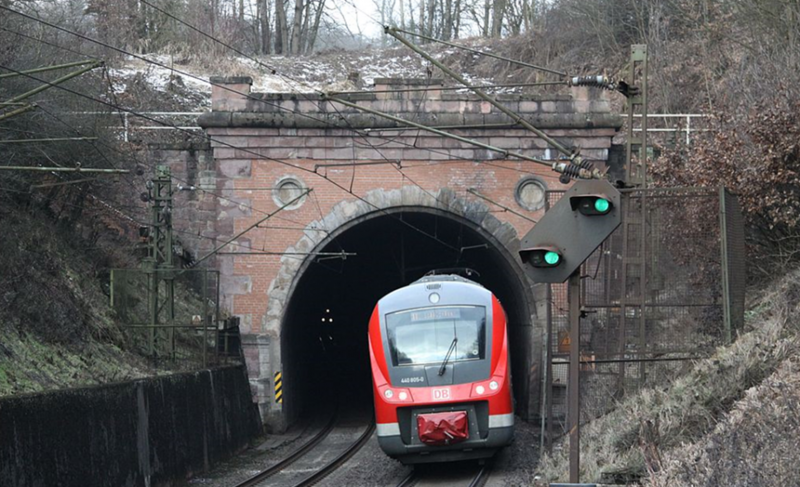 After an advance period of approximately one year, the Eppenberg Tunnel was broken through on February 2, 2018. The Eppenberg Tunnel is part of the Swiss Federal Railway Line between Aarau and Olten which is being widened to four tracks. The tunnel was advanced with a mixed shield tunnel boring machine over a length of 2.6 km and will have a total length of 3.2 km long upon completion of the construction works. 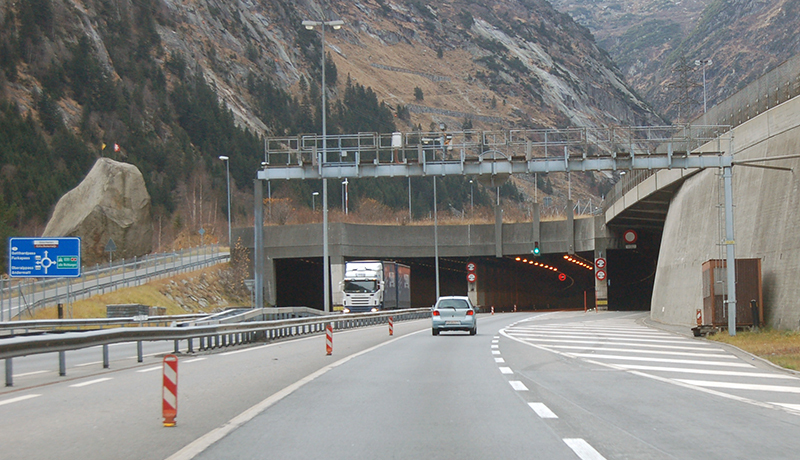 The Eppenberg Tunnel is scheduled to be put into operation by the end of 2020. It will provide a significant increase in capacity of the main artery from Zurich to Bern. 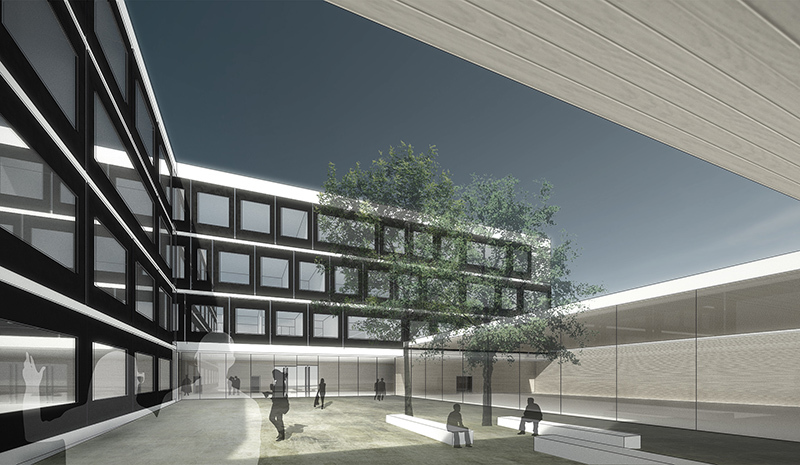 Together with partners, ILF Consulting Engineers was awarded a contract for the project works (basic design to construction design) and the site supervision works as part of an overall planning mandate for the 4-tracking of the Aarau–Olten railway line. In addition, the mandate comprises the railway technology works after completion of the civil works. 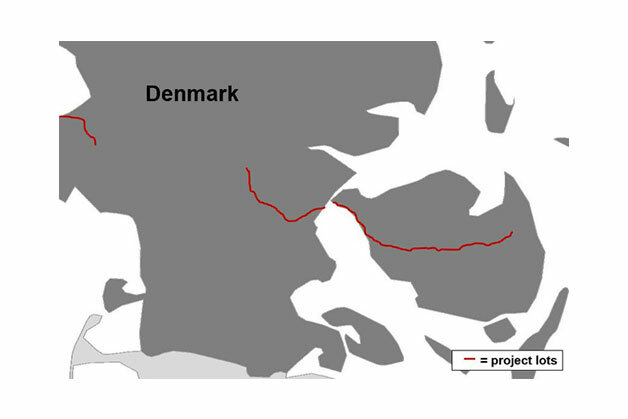 In late 2017 BBT SE commissioned a bidding consortium led by ILF Consulting Engineers to perform the monitoring of the ground and surface water resources of the Brenner Base Tunnel. The monitoring of ground and surface water resources of the longest underground railway connection in the world is performed across borders both in Austria and in Italy along the entire 64 km long route. In total, at 1,200 measuring points measurements and samples are taken every four weeks, with maintenance and management of 100 partly very complex data logger installations in groundwater, springs, creeks and rivers. ILF has been assisting BBT SE with the monitoring of ground and surface water resources for many years. For the Brenner Base Tunnel project ILF has carried out many different design services since 1977. In the year 2017 that is drawing to a close, ILF celebrated its 50th anniversary. Besides diverse challenges that we faced, the year 2017 also brought us many encouraging developments. All in all, a sense of great satisfaction and gratitude prevails regarding what we have achieved together. Our sincere thanks go to our esteemed clients and business partners for their constructive cooperation. 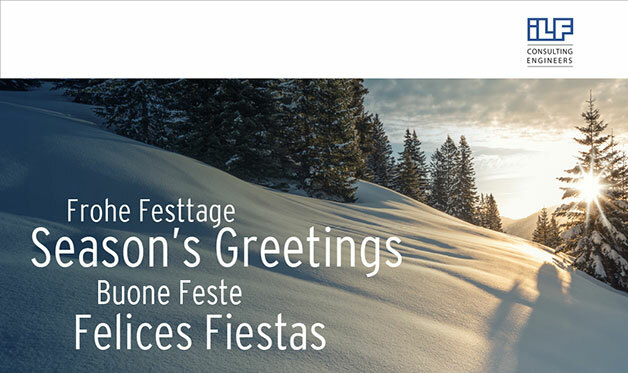 Wishing you a peaceful holiday season and a healthy and prosperous 2018! After a two-year construction period, the breakthrough of the western and east tubes of the Oberau Tunnel (Germany) was celebrated. The 3 km long western section is part of the Garmisch-Partenkirchen bypass. After completing the construction works, scheduled for 2021, the Oberau Tunnel will be the longest twin-tube road tunnel in Bavaria. The EUR 230 million bypass shall divert traffic going to the holiday destination of Garmisch-Partenkirchen around the village of Oberau. ILF Consulting Engineers has been supporting the motorway authority of Southern Bavaria in the design of several project phases for many years. Currently, ILF is responsible for reviewing the construction design and for providing site supervision as well as site management services. On November 30, 2017, Jens Kottsieper and Michel Kneller will be presenting a white paper on decentralized hydrogen production from renewable energy for the transport sector at the ÖGEW/DGMK Autumn Conference in Vienna, Austria. In order to meet the climate objectives of the 2015 Paris Agreement to further reduce CO2 emissions, it will be necessary to increase the renewable energy share in the global energy mix. One potential solution would be to convert surplus renewable energy to hydrogen through a process of electrolysis, store it and make it available to the transport sector. Mr. Kottsieper and Mr. Kneller will also present key findings and lessons learned from the Demo4Grid project that is currently being implemented in Innsbruck, Austria. The Schaftenau–Radfeld Junction in the Lower Inn Valley (Austria) forms part of the northern feeder line to the Brenner Base Tunnel. The upgrade of this section is part of four-tracking the line in the Lower Inn Valley. With this project, the Austrian Federal Railways (ÖBB) and the Austrian Ministry for Transport, Innovation and Technology (BMVIT) intend to increase the line capacity and eliminate bottlenecks for the Brenner Base Tunnel to achieve full efficiency. In addition, the project will bring traffic relief for the Lower Inn Valley and reduce travel time, as design speeds of 230 km/h will be possible. The line will have a total length of approx. 20.5 km including 11.7 km in mined and cut-and cover tunnels and 5.6 km in open-track sections. Furthermore, the project will include the construction of four trough structures with a length of 3.2 km. ILF Consulting Engineers will be responsible for preparing the design documents for the preliminary authorization of the environmental impact assessment (EIA) pending legal permission for the mined tunnel near Angath. Together with partners, ILF will also be in charge of the cut-and-cover tunnels and trough structures. ILF Consulting Engineers will be present at the HYDRO 2017 in Seville, Spain, from 9 to 11 October 2017. Reinhard Fritzer and Eva Manninger will be giving a lecture about the “Atdorf pumped-storage plant: Three weeks of public discussion and a milestone in the permit application procedure” at session 12d “Pumped storage: Potential, plans and case studies”. Furthermore, Serafino Weissenbach will report on “Hydraulic design: Alto Maipo hydropower project” at session 4 “Civil engineering: Design”. The speakers will be happy to receive questions or get feedback. Let us know how we can help you tackle your challenges (reinhard.fritzer@ilf.com, eva.manninger@ilf.com or serafino.weissenbach@ilf.com)! 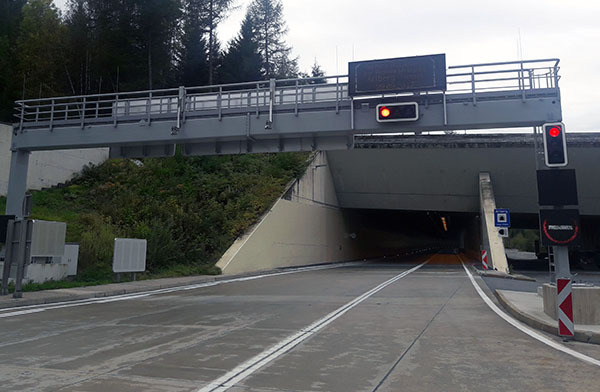 After a construction period of three years the Arlberg Tunnel on the S16 Arlberg Road (Austria) was officially reopened to traffic. Having a length of approx. 15.5 km, the longest road tunnel in Austria was equipped with 37 additional escape routes and another eight emergency lay-bys. 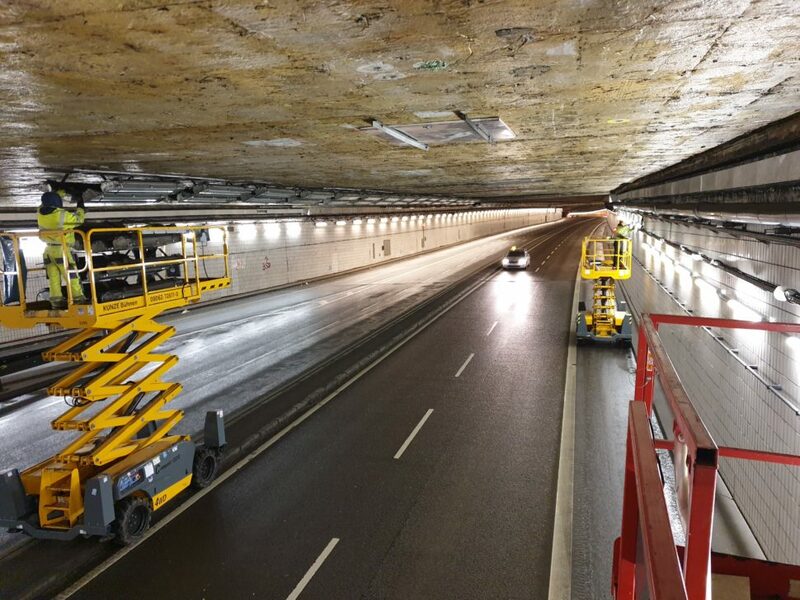 In total ASFINAG invested EUR 154 million in the safety upgrade of the tunnel, and has applied state-of-the-art technologies (high-pressure water mist system, thermal scanner at both portals, AKUT system, etc.) in the tunnel. ILF Consulting Engineers was entrusted with the project management and the supervision of the electromechanical installations and control systems. In July 2017 ÖBB-Infrastruktur AG commissioned ILF Consulting Engineers, together with partners, to provide permit application and EIA design services for the railway project Nordbahn Wien Süßenbrunn–Bernhardsthal in Austria. With a length of approx. 66 km and two tracks the project forms part of the “Pontebbana Axis” that is classified as an “interoperable high-speed railway line” in the ÖBB network. By increasing train speeds to 160 km/h it shall become possible to travel from Vienna to Prague in three hours and 45 minutes. Furthermore, non-stop travel time of trains between Vienna and Břeclav shall be reduced to 60 minutes. ILF Consulting Engineers was commissioned by WindLandKraft GmbH to carry out the project management and design services for the Großinzersdorf Wind Park in Lower Austria (Austria). The required services encompass the project and construction management up to the completion of the overall wind farm (incl. construction management of plant assembly), construction design and preparation of tender documents/award of works for access roads to wind farm, construction site and wind farm cabling. 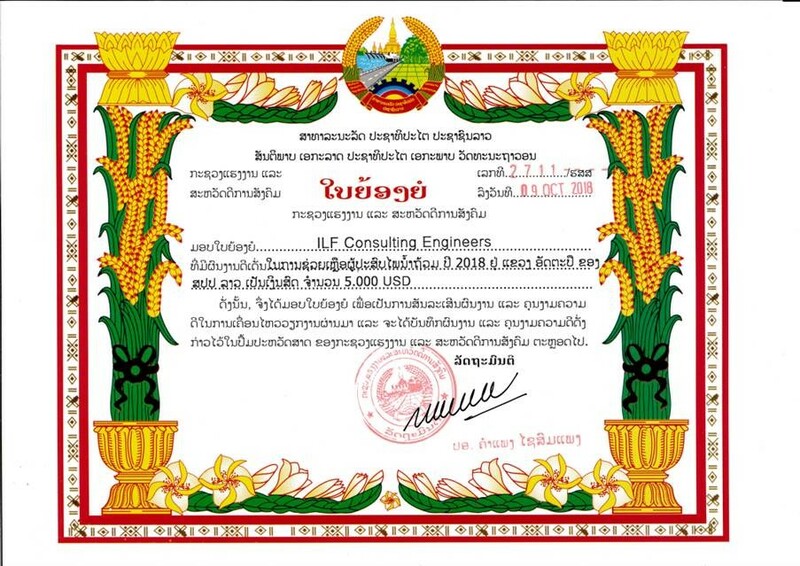 ILF Consulting Engineers participated actively in this yearai??i? ?s international conference ai???ai?? ?Shotcrete for Underground Support XIIIai??i??ai??? in Irsee, Germany, from September 3rd to 6th 2017. The conference is an excellent forum for new developments in rock engineering, tunneling, underground space and deep excavation. ILFai??i? ?s Dr. Matthias Beisler, co-chair of this event, talked about ai?? ?Multi layered shotcrete design for tunnel constructionai?? ?, which attracted a lot of interest from the attending international experts. In the course of this event the location for the next conference in this series was announced. SUS XIV in 2019 will be organized in Bangkok (Thailand) under the auspices of ILF and chaired by Dr. Matthias Beisler. 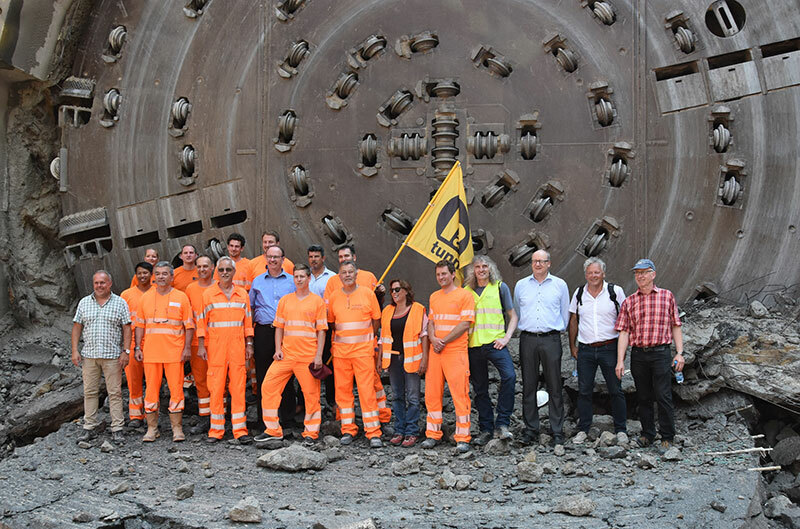 On 28.07.2017 the top heading breakthrough of the 2.1-km-long Stein Tunnel was celebrated after 12 months of construction. The Stein railway tunnel forms part of the St. Kanzian string of tunnels on the Carinthian side of the new Koralm railway line, which connects the cities of Graz and Klagenfurt (Austria). The breakthrough of the bench is scheduled to take place by the end of August. The 0.5-km-long Lind Tunnel of the St. Kanzian string of tunnels had already been completed on 21.02.2017 after 8 months of excavation. The waterproof permanent linings, consisting of reinforced concrete, will be installed in the near future. Track construction will not go underway before the structural works for the St. Kanzian string of tunnels will be completed at the end of 2019. The section between Althofen on the Drava River and St. Kanzian is due to go into operation by 2022. 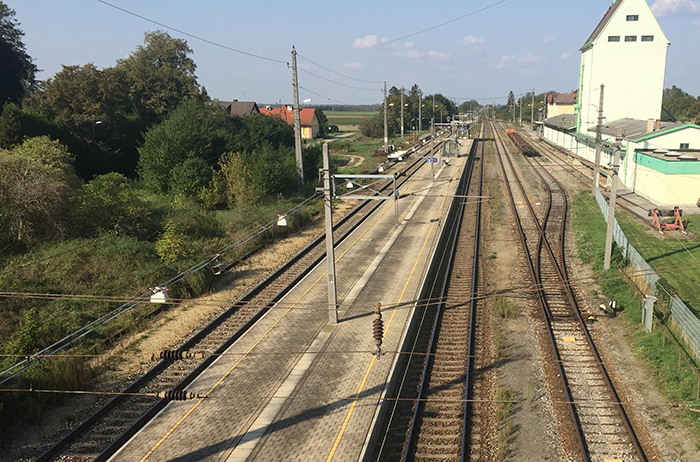 After completing the conceptual design, permit application design, and tender design services, ILF Consulting Engineers have been awarded a contract by the Austrian Federal Railway ÖBB in mid 2015, entrusting them with the construction design and on-site geotechnical monitoring services. 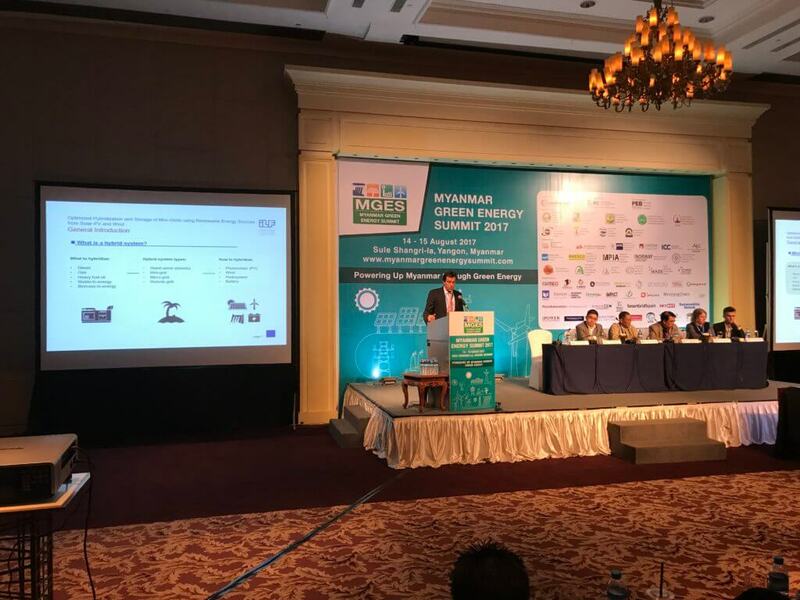 ILF Consulting Engineers participated actively in this year’s “Green Energy Summit” in Yangon (Myanmar) from 14th to 15th August 2017. The summit is excellently designed to provide a platform for international energy industry players and potential investors for updates on the market potential and development plan of green energy sector in Myanmar. ILF’s experts presented our expertise in Renewables, including Photovoltaics, Biomass, Waste-to-Energy, Hydropower, Thermal Energy and Oil&Gas. Moreover, Frank Zimmermann had a talk about “Optimized Hybridization and Storage of Mini-Grids using Renewable Energy Sources”. Mr. Zimmermann while holding his talk about “Optimized Hybridization and Storage of Mini-Grids using Renewable Energy Sources”. Together with nine other corporate partners, ILF Consulting Engineers and IGLZ (IF Lebenszyklus Bau) have joined forces to develop and implement the start-up contest “Digital Building Solutions” (DBS) and an event for the construction and real estate industry. DSB is a “scouted” contest where relevant startups from the German speaking countries Germany, Austria and Switzerland present their innovation ideas on design, construction, operation and financing. The corporate partners have now assessed all ideas and cast their votes. The top-ranked startups selected for the final pitch will be meeting up at the award ceremony on 12 Sept 2017. The best startups from each subject area will be awarded a prize. ILF is a corporate partner and jury member. 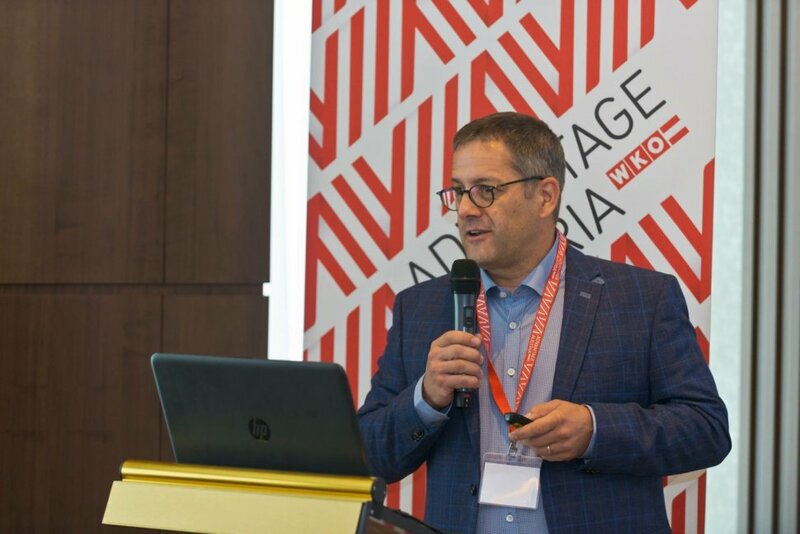 Earlier this month ILF Consulting Engineers actively participated in two events, one of which was the “Kazakhstani-Austrian Sustainable Technology Day” and the other was the “50 Years of ILF” celebration held in the Austrian pavilion of the EXPO. During the Technology Day, ILF’s experts on Hydropower Engineering (John Thene, ILF Austria) and Smart Cities (Enrico Casaretti, ILF Abu Dhabi) presented their thoughts on the current situation in the renewable energy sector and shared insights on future developments. During the sessions government representatives, investors, engineers, and equipment suppliers from Kazakhstan and Austria had the opportunity to share knowledge and experience, make new connections, and meet new colleagues in a B2B format. 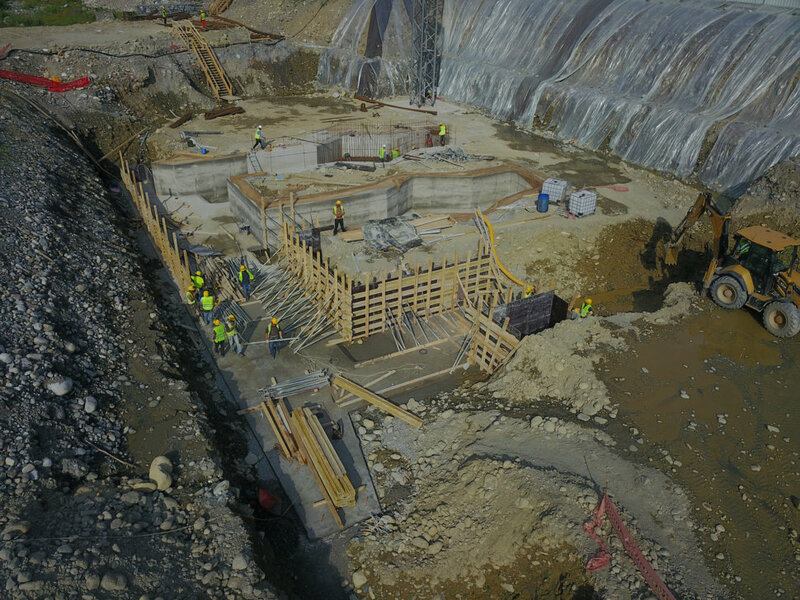 Since June 2017 construction is under way for the 20 MW Mestiachala 1 and the 30 MW Mestiachala 2 hydropower plants in Georgia. Both plants are planned to be located on Mestiachala River in Georgia’s Samegrelo-Zemo Svaneti region. The investment costs will be some USD 65 million. 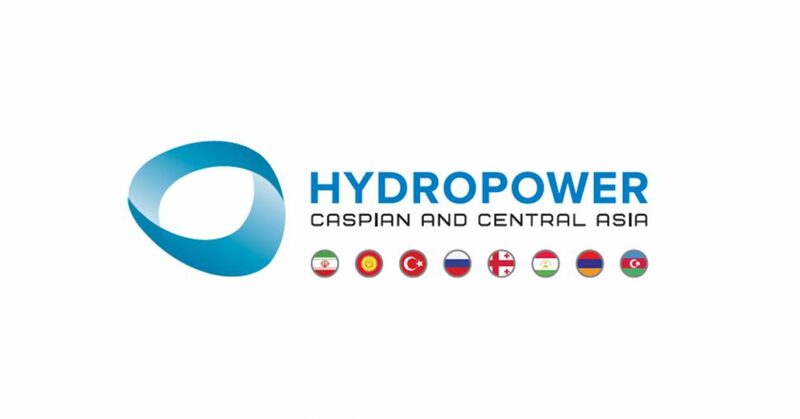 The hydropower plants are being developed by the joint venture “Georgian Renewable Power” (GRPC). ILF Consulting Engineers is in charge of construction supervision for both hydropower plants. The Roads Department of the Ministry of Regional Development and Infrastructure of Georgia awarded the contract for the Preparation of Feasibility Study for Upgrading of Tbilisi–Bakurtsikhe, Tsnori–Lagodekhi Road and Detailed Design for the Upgrading of Tbilisi–Sagarejo and Sagarejo–Bakurtsikhe Road to a Joint Venture with ILF Consulting Engineers. The relevant road sections from Tbilisi–Bakurtsikhe (approx. length 80 km) and Tsnori–Lagodekhi (approx. length 40 km) start in the eastern part of Tbilisi and end near Lagodekhi district at the border to Azerbaijan. 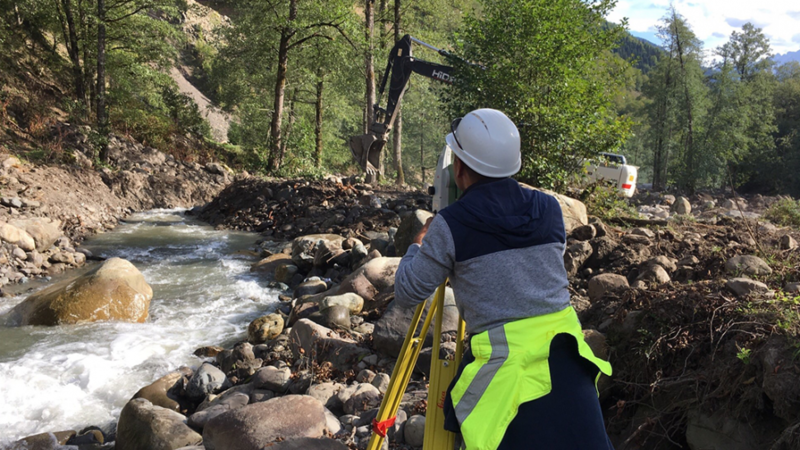 The service includes topographic, hydrological and geotechnical surveying, preparation of an DEM, traffic survey and traffic forecast for the entire project area, determination of economic costs, road design for the alignment to a detailed degree, and economic evaluation of the alignment. The detailed design of the road will be executed in the second phase. Last year, the transmission system operators TenneT TSO GmbH and TransnetBW GmbH awarded ILF Consulting Engineers and its partners with a contract for the permit application design of the north-south power lines across Germany that are to laid underground. 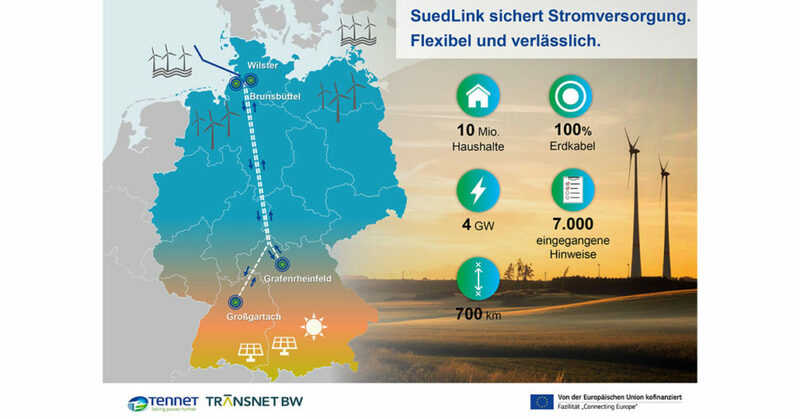 At present, SuedLink is the largest infrastructure project in Germany and is scheduled to enter into operation in 2025. As the competent approval authority, the Federal Network Agency (Bundesnetzagentur) currently holds a number of scoping conferences. The communication and participation process entails intensive dialogue with the general public. 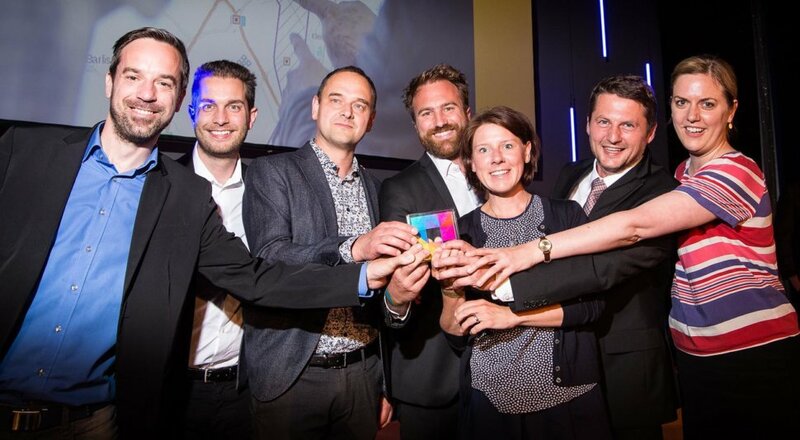 The project team consisting of clients and ILF with partners won the “SABRE Award” (London) in the “Community Relations” category and the “European Excellence Award in Public Affairs” (Brussels). What is more, the online participation tool (Web-GIS) set up and managed by ILF won the “German Award for Online Communication” in the “Public Affairs” category. On account of the age of the existing gas turbines and in response to the newly adopted Emission Control Act (EG-K 2013) Trans Austria Gasleitung GmbH (TAG) decided to replace the respective compressor units step by step. The NOxER 2 project comprises the Baumgarten, Eggendorf, Grafendorf and Ruden compressor stations. ILF Consulting Engineers Austria GmbH was already involved in the design during previous project phases. As a result of the long and good working relationship in the past, ILF has now been awarded a contract as a subcontractor of Saipem for the execution phase. ILF will render design services for procurement support and detailed design (civil, mechanical, electrical, instrumentation and automation engineering) and construction supervision services for the Baumgarten, Eggendorf, Grafendorf, and Ruden compressor stations. For the Ruden station the services furthermore include basic engineering and authority engineering. Now that most of you have seen the film for the first time on the occasion of the various celebrations marking ILFai??i? ?s 50th anniversary, we are pleased to inform you that it is now available for download from the following link. 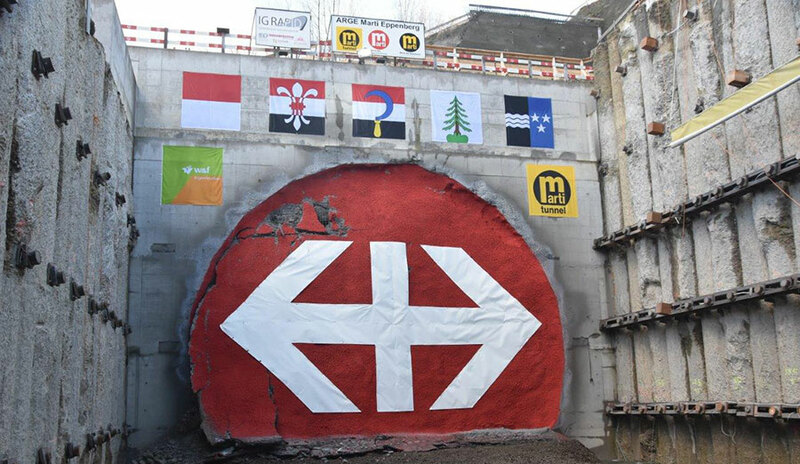 On June 21, 2017 the TBM breakthrough of the 3.2 km long Belchen rehabilitation tunnel (Switzerland) was celebrated after 16 months of excavation. 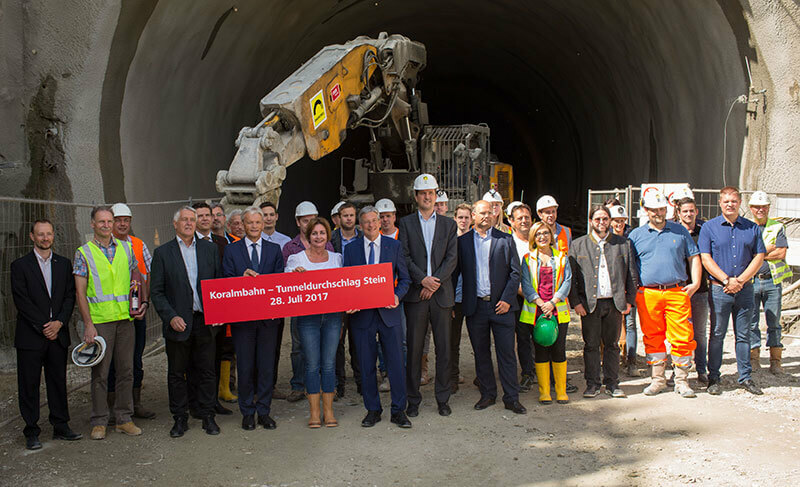 The rehabilitation tunnel will serve as a third tube in addition to the existing Belchen motorway tunnel on the N2 between the Härkingen motorway junction and the city of Basel. ILF Consulting Engineers was commissioned to provide the design (tender design to detailed design) and site supervision services for the tunnel.Following the completion of the rehabilitation tunnel, the refurbishment of the existing tunnel tubes is now scheduled to get underway. On June 22, 2017 ILF and its partners were awarded the design contract (conceptual study to permit application design). The huge Crankworx mountain bike festival will take place in and around Innsbruck from June 21 to June 25, 2017. On several spectacular trails, the world’s best riders will battle for the prestigious trophies of what is known as the world’s biggest mountain bike event. ILF Consulting Engineers was responsible for the permit application design of all bike trails which was successfully approved by the authorities. 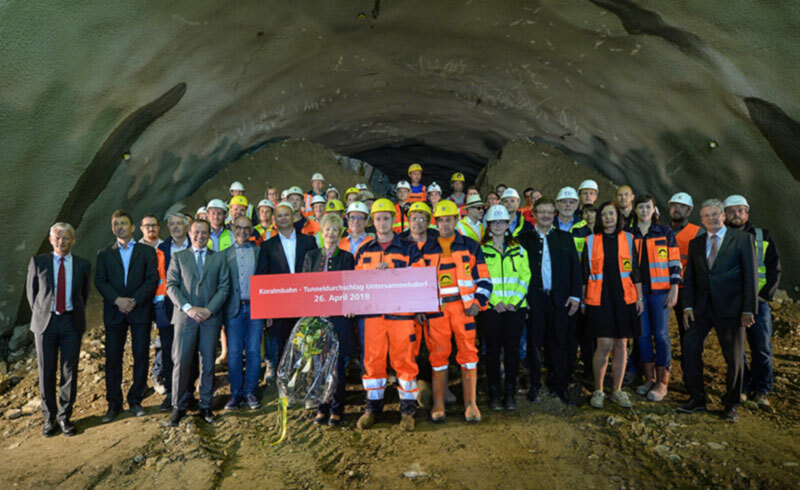 On 24.05.2017 a final blast marked the event to celebrate the top heading breakthrough of the second tube of the 3-km-long Perjen Tunnel on the S16 Arlberg Expressway between Landeck and Zams (Austria). Only three weeks later, the breakthrough of the bench occurred on 14.06.2017. As soon as the new second tube of the Perjen Tunnel will be completed in 2018, traffic will be transferred from the existing tube to the new tube. Starting in 2019, the existing tunnel will be closed for rehabilitation after 33 years in service and will be opened to traffic again at the end of the same year. 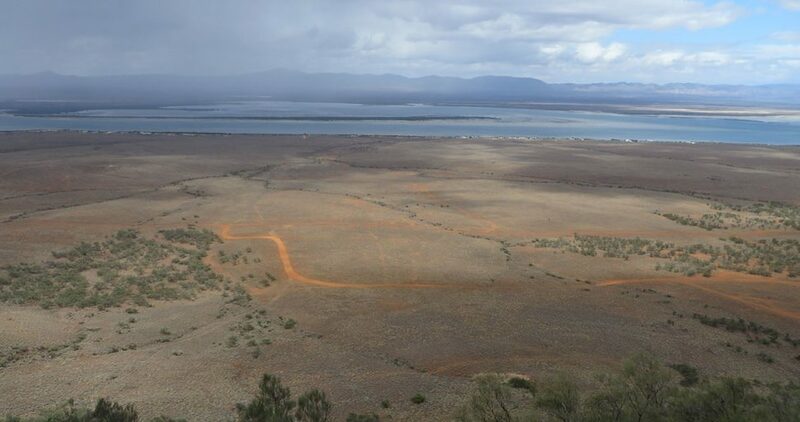 After rendering the overall design for the first tube, ILF has been awarded a contract by ASFINAG in February 2016, entrusting ILF with carrying out the geological documentation of the second tube. ILF Consulting Engineers (together with partners) will be responsible for repairing and expanding water supply and wastewater disposal infrastructure in Kara-Suu and Kyzyl-Kiya on behalf of the respective city administrations. On the one hand, the project is aimed at increasing the quality of life of the people living in the two Kirgiz cities and, on the other hand, at strengthening the cities’ water supply and wastewater disposal companies. The contracts are financed by the European Bank for Reconstruction and Development (EBRD) and include design services, preparation of tender documents, support during procurement procedures, management of contracts incl. site supervision and institutional strengthening. Environmental protection plays an important role at ILF – not only when planning and implementing projects in areas such as renewable energy – but also in everyday life. Hence, ILF puts a strong focus on choosing public transport when going on business trips. 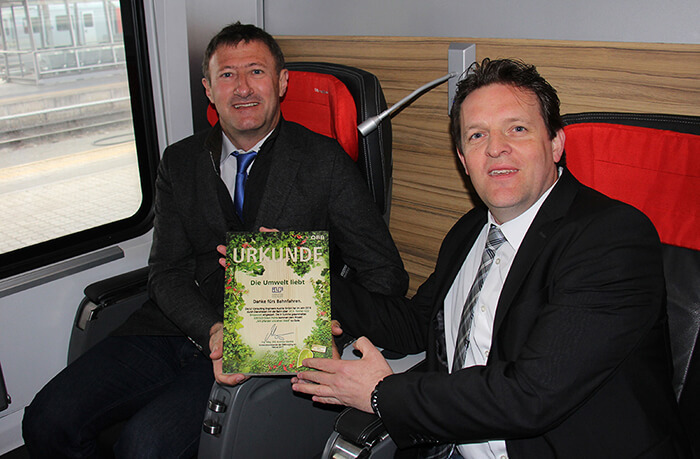 René Zumtobel (Austrian Federal Railways, ÖBB, Regional Manager responsible for passenger traffic in the Tyrol) handed over an environmental certificate to Bruno Mattle (Managing Director ILF-AUT) in May 2017. He thanked Mr. Mattle that ILF employees had made such intensive use of rail transport in 2016: “I want to thank ILF Consulting Engineers for supporting public transport in such a way.” ILF employees travelled by rail over a total length of 230,000 km – this is equivalent to six times the length of the equator. By doing so, ILF employees saved 37 tons of CO2. The Green Points that ILF collected help to support the ÖBB project “Wir pflanzen uns einen Wald“ (Let’s plant a forest). ILF Consulting Engineers will take part in the ai?? ?12th Pipeline Technology Conferenceai??? held in Berlin from 2 to 4 May, 2017. Our experts will present our technical expertise in leak detection (Maria Pimentel) and bankability of large scale pipeline studies (Dr. Stefan BA?rkle) and will chair the ai???Automationai??? session (Tobias Walk). You are most welcome to visit us at stand 40 in exhibition hall 1 (Estrel Convention Center, Berlin, Germany) to learn about our competence and experience in the field of pipeline engineering. We are looking forward to your visit and to interesting questions and discussions. 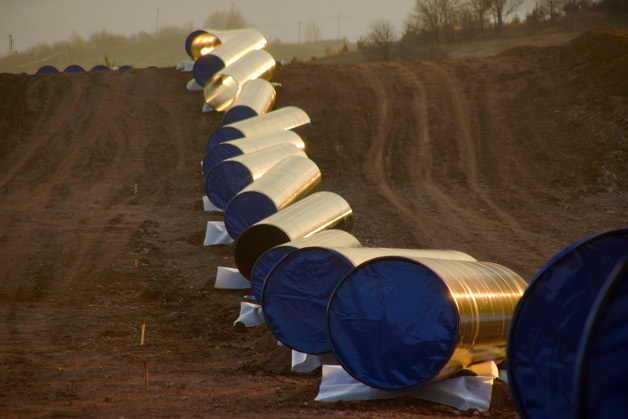 The German gas grid operator bayernets GmbH starts with the realization of an 86.5 km long high-pressure gas pipeline including its associated facilities. 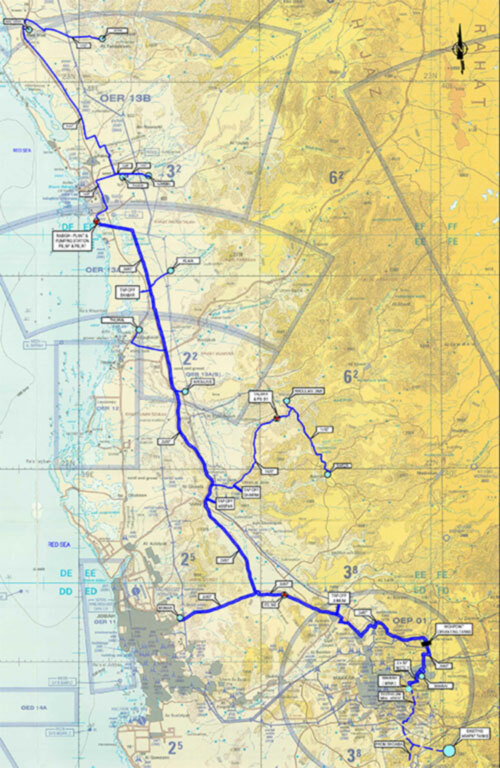 The pipeline with a maximum nominal width of DN 1200 and a nominal pressure of MOP 100 will be routed from Burghausen to Finsing (MONACO project) to expand the companyai??i? ?s supra-regional gas transmission network. Bayernets GmbH has awarded ILF Consulting Engineers with a contract to perform technical and ecological supervision services, claim management, safety and health coordination services and supervision of commissioning. 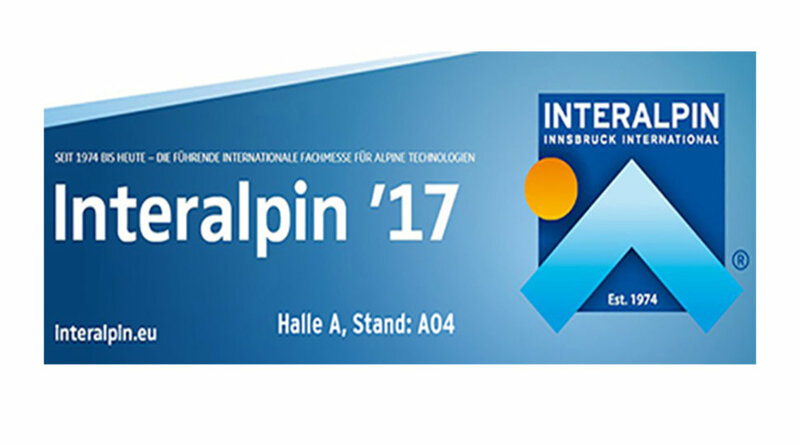 ILF will take part in the “International Trade Fair for Alpine Technologies” (Interalpin) held in Innsbruck from April 26 to 28, 2017. You are most welcome to visit us at stand A04 in exhibition hall A (hall 1, Innsbruck Exhibition Centre – Austria) to learn about our competence and experience. Come and discuss with us how we can support your projects in the field of ski resort planning, village planning and snow making systems. We are looking forward to your visit and to interesting questions and discussions. 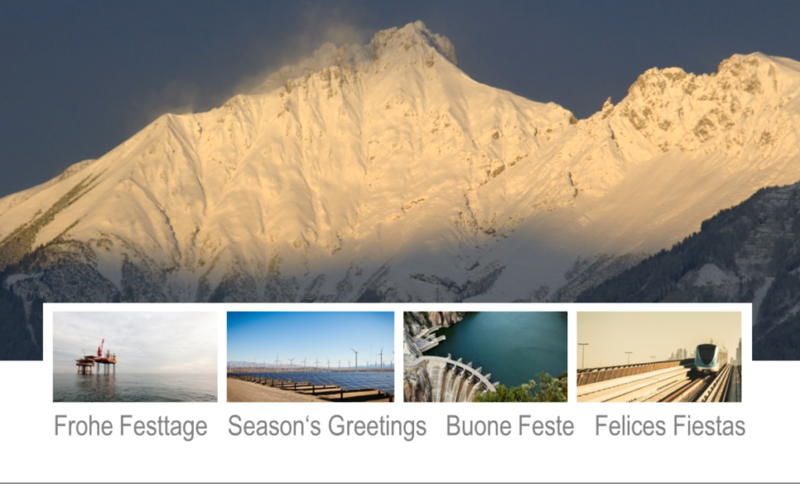 For further information, please visit the website at http://www.interalpin.at/. The world is changing, but does it also change me? This is a question the players in the construction and real estate industry may have been asking themselves for too long. Among the countless changes that once took decades and now happen in only a few years, digitization is presumably one of the biggest and thus one of the most challenging changes of our time. When comparing the construction and real estate industry with other sectors such as financial services, retail and/or wholesale, there is still room for further gains as regards digitization. In addition to numerous internal innovation processes in the context of digitization that are currently underway, ILF, jointly with other renowned companies, actively shapes the drive towards digitization in the engineering sector. Together with its cooperation partners ATP Planungs- und Beteiligungs AG, Bundesimmobiliengesellschaft m.b.H., ENGIE Austria GmbH, Kommunalkredit Austria AG, PORR AG, Siemens AG Österreich, AIS Energy Advisors AG and Wien Energie GmbH, ILF is pursuing and sponsoring the development and implementation of a start-up contest and event for the construction and real estate industry. The cooperation is founded on the common understanding of the partners that the rapidly advancing digitization seen in many sectors and business processes will also bring about comprehensive change in the construction and real estate industry. 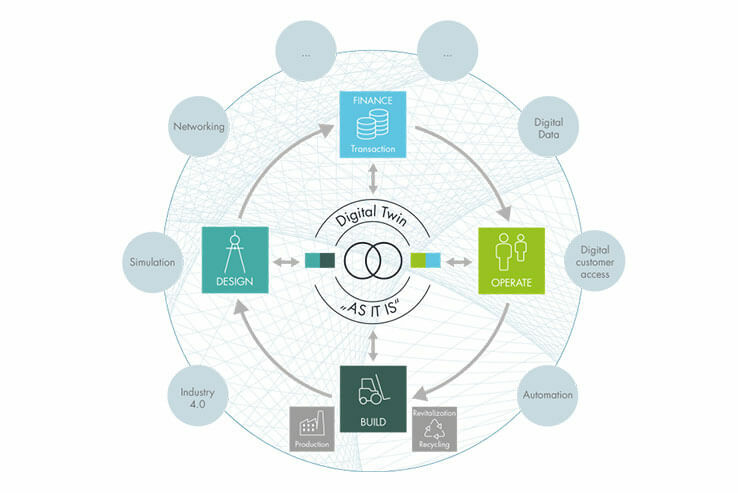 The development of a “digital twin”, that is the digital representation of structures across all life cycle phases (development, planning and design, construction and operation), will play a decisive role in this process. Besides the impulse of the initiative that aims at advancing digitization in the construction and real estate industry, the project enables ILF to tap into the digital know-how of start-ups and to push ahead in the world of digitization.